therefore you, sons of Jacob, are not consumed. As we begin a brand new year, it is important for us to be reminded of this simple truth... 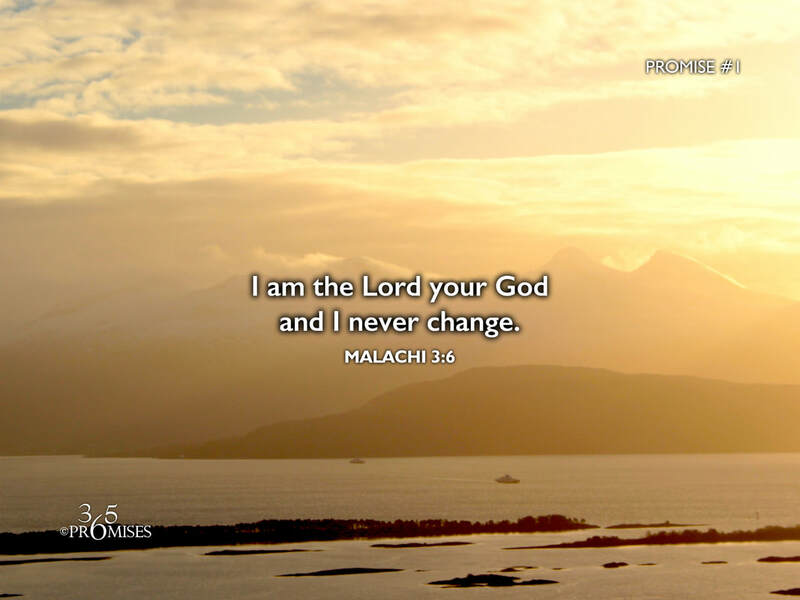 The Lord our God does not change. He is the same yesterday, today and forever. Every promise that He has made is secure and will last forever. Since we live in a world that is constantly changing, the promise of our Father's rock-solid commitment to us is very reassuring. Today is a new day and marks the beginning of a new year for us to be able to experience the Lord's continued faithfulness in our lives. He will never leave us or let us down. He loves us with all His heart and each one of His promises that is true today will be true in a million years from now. I pray that this truth will bring a deeper level of comfort and security to each one of our lives. May we look forward to all of the ways that our Father will show Himself faithful to us in this New Year. May this new year be blessed beyond imagination for you!